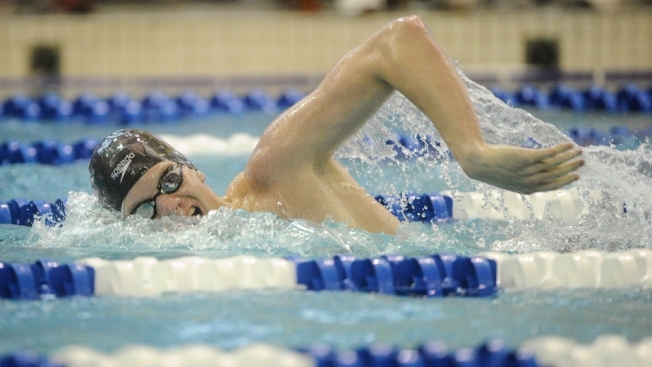 Olympic swimmer and Virginia native Townley Haas comes from a family of fighters. The gold medal-winner's older sister, Emily, survived the shooting at Virginia Tech that killed 32 people in 2007, and his mother is a gun control advocate. Emily Haas was sitting in a French class at Virginia Tech on April 16, 2007 when Seung-Hui Cho opened fire, NBC Washington and Yahoo News reported. Bullets grazed the crown of her head and the base of her skull. Classmates around her were killed. Since then, Lori Haas has fought for gun control legislation in Virginia. Working for the Coalition to Stop Gun Violence, she has called on politicians, from Virginia senators to Gov. Terry McAuliffe, to keep guns off college campuses. “Guns on campus is an extremely unpopular position for anyone except a radical few,” Lori Haas told the Associated Press in 2012. She sent an open letter in 2009 with other families of shooting victims asking then-Sens. Jim Webb and Mark Warner to support gun control legislation. Townley Haas showed his family’s grit when he fought for a gold medal Tuesday as part of Michael Phelps and Ryan Lochte’s 4x200 freestyle relay team in the Olympics. The team’s victory gave Haas his first Olympic gold. His mom has been a constant supporter. A photograph Townley Haas posted to his Instagram page in May shows the mother and son together. “Happy Mother's Day to the greatest mom in the world. I don't know where I'd be without you! I love you!” he wrote. Happy Mother's Day to the greatest mom in the world. I don't know where I'd be without you! I love you! Through retweets, Townley Haas has shown his support for his mother, who has taken on the National Riffle Association and protested at the Capitol until 1 a.m.
As Richmond's hometown Olympian fights for Team USA, his mother fights for an end to the gun violence that nearly killed her daughter.